Indigo’s new policy outlines a timeline for magazine and book vendors to introduce recycled materials: vendors had 12 months to reach 20 per cent, 24 months to hit 30 per cent and five years for 50 per cent. According to Steven Forth, Indigo’s director of vendor relations, as one of North America’s leading magazine and book retailers (with 244 stores across Canada), the company feels obligated to endorse recycled materials. Markets Initiative, an environmental organization that works with large paper consumers to help them implement paper policies that protect ancient and endangered forests, is currently collaborating with Indigo in an effort to assist the company in making its recycling suggestions a reality. Several magazines are laid out on a conference table at St. Joseph Media’s printing plant in Concord, Ontario. Mary Budgell, a St. Joseph Media account executive, flips through the August 2008 issue of Explore one of the few Canadian magazines printed on 100 per cent recycled paper, and searches for a page with white space. She then browses the November 2008 issues of Toronto Life and Canadian Family with the same purpose, eventually placing each on top of the other. The difference in shades of white in the three titles is obvious (the Explore paper was slightly darker), but only in the way that a navy-blue article of clothing looks black until it is held up against something that is truly black. “Consumers probably wouldn’t be able to tell the difference unless they did this,” Budgell says. Depending on the grade and weight of the paper, it can have a greyer tint, meaning it is not a crisp, white colour like higher-quality paper stocks. There are five grades of stock, five being the lowest and one being the best. Most magazines are printed on a four or five. The many different types of stocks range in colour, thickness and glossiness. It is ultimately up to the magazine’s publisher to decide what stock it wants, a decision that is partly based on cost as well as appearance. 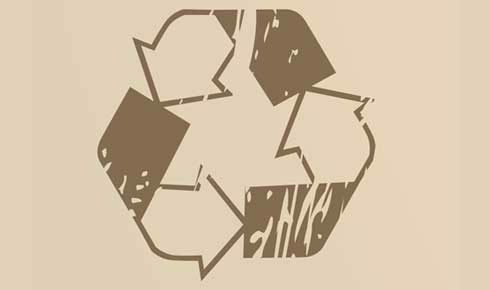 Currently, only a small fraction of paper stocks exist in recycled versions, but paper mills are working toward developing as many of the existing types as possible in a recycled form. Penny Caldwell, editor of Cottage Life (another magazine that’s printed on 100 per cent recycled paper), says her magazine advertised the fact that it was using recycled paper and included this information in its subscription promotion materials. However, since the magazine made the switch to recycled paper, newsstand sales and subscriptions have not increased. Other publishers may also find that moving to recycled paper won’t lift sales, while the paper itself can be eight to 30 per cent more expensive than nonrecycled stock, according to Latreille. In addition, paper mills around the world have been closing because of the current state of the economy, says Neva Murtha of Markets Initiative, who works with publishers to assist them in making the switch to more environmentally conscious printing and publishing strategies. Rick Boychuk, editor of Canadian Geographic, also notes there is a lack of paper mills in Canada that produce the kind of stock magazines need. “This is a challenge for all of us,” Boychuk explains. The magazine’s June 2008 environmental issue used what is called “wheat sheet”: glossy, lightweight, coated paper made with 20 per cent wheat straw, a first in North America. Even though Canadian Geographic won’t know how successful the wheat sheet issue was in terms of sales for another three or four months, it received enthusiastic and congratulatory mail from readers and people in the magazine industry. “One day maybe we’ll have more issues on wheat sheet,” says Boychuk. Listen to journalist Jordana Rapuch speak about her experiences writing “Paper Dreams” on the Ryerson Review of Journalism’s Podcast.